What is Grain Berry Onyx? Cook Grain Berry Rotini pasta in plenty of boiling salted water until al dente. 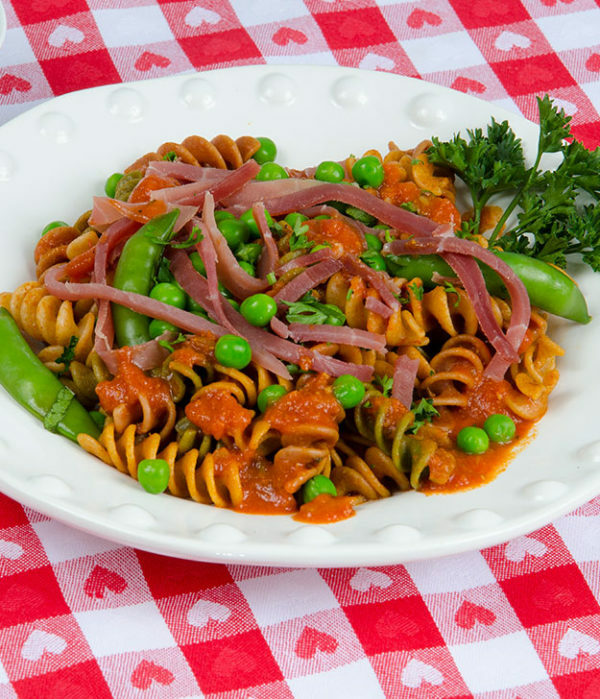 Meanwhile, combine Silver Palate Tomato Romano Pasta Sauce, stock, oregano, prosciutto and peas in a saucepan and heat over medium-high heat until hot. Drain pasta well, add sauce, season with black pepper and toss. Serve at once and pass parmesan.